The dark, rugged-surfaced complex of hills (V, at left) is enlarged many times in this stereogram. Without further detailed study, two explanations for its origin seem equally plausible. The complex may be a densely cratered block of terrae that was partly inundated by the lavas of Mare Cognitum and subsequently blanketed by dark volcanic ejecta. 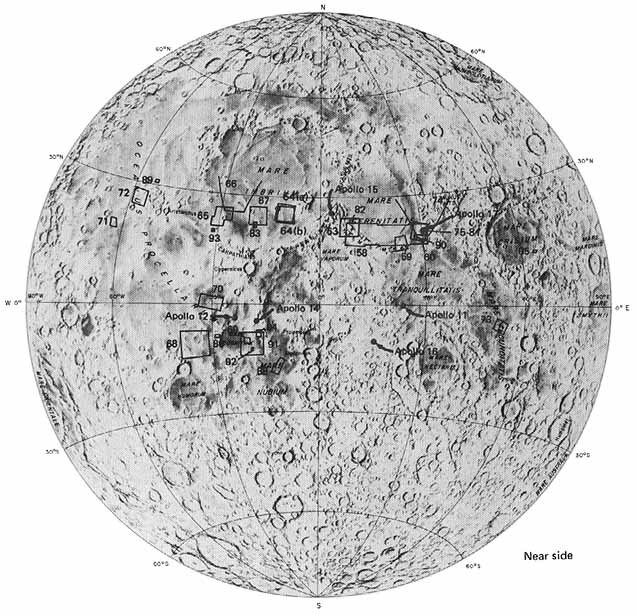 Within the darkened area, the concentration of fresh young craters is less than the surrounding mare surface, strongly suggesting that the dark blanketing was deposited appreciably later than the mare lavas. Alternatively, the complex may be a pile of lava flows densely pockmarked by volcanic craters, and, as in the first case, subsequently covered by volcanic ejecta. The steplike, but discontinuous ledges along the east side of the complex probably represent successive flows of viscous lava. 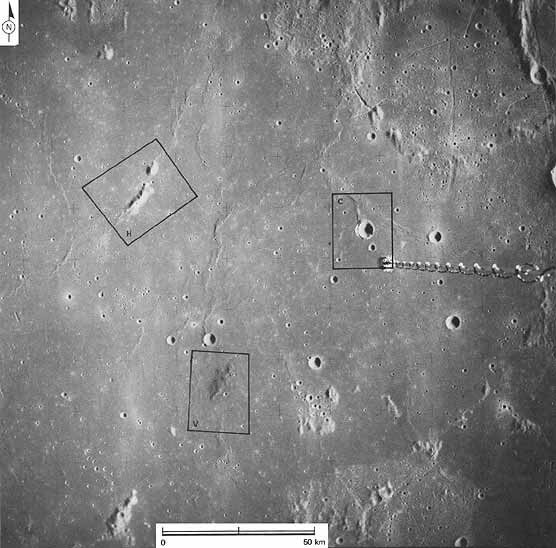 All the craters are shallow, probably because they have been filled by their own ejecta or by that from nearby craters. 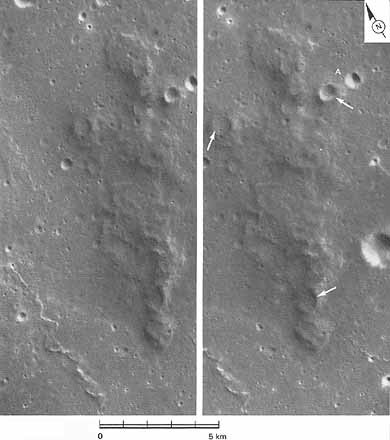 Nevertheless, several craters (see arrows) have steep raised rims, distinguishing them from impact craters. The difference is clear at A where a volcanic crater (left) can be readily compared to a normal impact crater (right). -G.W.C.